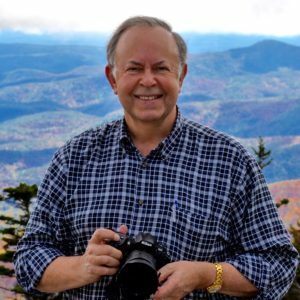 Delmarva Review's Executive Editor, Wilson Wyatt, Jr., shares his view on the important roles literary journals play in advancing great literature. Based on his many years of experience as both writer and editor, Wyatt offers words of encouragement for all writers who seek to have their voices heard. 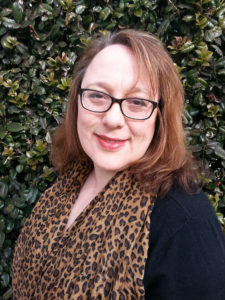 Filed Under: Feature, News Tagged With: Literary Journal, News, Wilson Wyatt Jr.
Delmarva Review and the Talbot County Free Library are presenting a celebratory reading of short stories, essays, and poetry by 10 award-winning regional authors. The reading will be at 1 p.m. Saturday, March 16, at the Talbot County Free Library, 100 W. Dover St., in Easton. This event is free and open to the public. The readers include Sue Ellen Thompson, of Oxford, Anne Colwell, of Milton, DE, George Merrill, of St. Michaels, Meredith Davies Hadaway, of Chestertown, Wendy Ingersoll, of Newark, DE, Bill Peak, of Easton, Kate Blackwell, of Neavitt and Washington, DC, Emily Rich, of Secretary, David Salner, of Millsboro, DE, and Kelley Katharine Malone, of Easton. The reading celebrates a literary milestone, as the Delmarva Review has now published the original work of over 300 authors over an 11-year history. The writers span 40 states and ten foreign countries, while 52 percent are from the Delmarva Peninsula and Chesapeake region. Over 60 have been nominated for a Pushcart Prize and other literary awards. As a literary journal, Delmarva Review exists to encourage writers to pursue outstanding writing by offering an established literary publishing opportunity. It is published in print and digital editions available worldwide through Amazon.com and other major online booksellers. With local roots, its influence stretches far beyond regional borders. The nonprofit review is supported by individual contributions and a grant from the Talbot County Arts Council with funds from the Maryland State Arts Council. Visit its website at DelmarvaReview.org. Order copies at Amazon.com. Delmarva Review announced six Pushcart Prize nominations for poetry and short fiction published in the review’s 2018 annual edition. Nominations include four poems: “Words of My Father/Palabras De Mi Padre,” by Alejandro Pérez, from Maryland and a student at Columbia University; “Responsibility,” by Holly Karapetkova, a northern Virginia poet and teacher at Marymount University; “Autumn Sestina,” by Adam Tamashasky, from Maryland and a teacher at American University; and “Epithalmion,” by Daisy G. Bassen, a poet from Rhode Island. Two fiction nominations: “Cantabile,” by John J. McKeon, a Maryland author, and “Prairie Fever,” by Emily Rae Roberts, a student at Ohio State University. The nominations were chosen from 57 poems and 26 prose selections published in the Delmarva Review’seleventh edition. 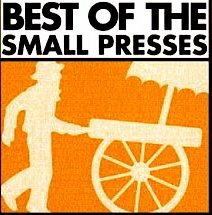 Pushcart editors will select winners to publish in the anthology, The Pushcart Prize: Best of the Small Presses XLIV, due in the fall of 2019. Delmarva Review was created in 2008 to offer writers a valued venue to publish their best writing in print at a time when many commercial publications were reducing literary content or going out of business. The journal favors the permanence of the printed word, but it also publishes an electronic edition to meet the digital preferences of many readers. Both print and electronic editions are available at Amazon.com and other major online booksellers. Since its first annual issue, the review has showcased the original work of 300 writers. In all, authors have come from 40 states and 10 foreign countries. Fifty-one percent are from the tri-state Delmarva Peninsula and Chesapeake Bay region. Sixty have been nominated for a Pushcart Prize. Some have received notable mention in Best American Essays or achieved notice from other publications and awards. For many, this was a first recognition of their literary accomplishments. 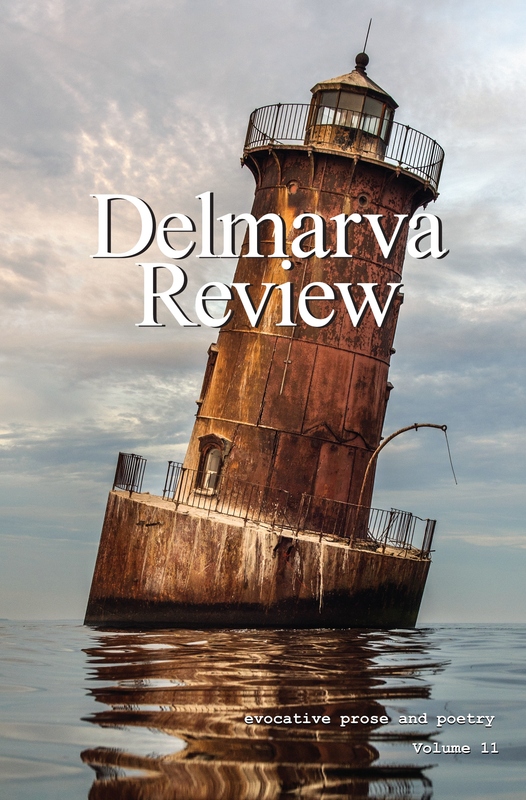 The submission period for Delmarva Review’s twelfth edition is open now through March 31, 2019. The journal welcomes all writers. A submission link is on the guidelines page of the website: DelmarvaReview.org. Delmarva Review is an independent, nonprofit literary journal published by the Delmarva Review Literary Fund Inc. Partial financial support comes from tax-deductible contributions and a grant from the Talbot County Arts Council, with funds from the Maryland State Arts Council. Regional photographer Jay Fleming’s color image “Sharps Island Light,” the leaning icon of Chesapeake lighthouses, has been selected for the cover of the eleventh annual Delmarva Review, to be published on November 1. Fleming, 31, is a professional fine art photographer who learned his craft from two powerful sources, his dogged self-persistence and the tutelage of his photographer father, Kevin Fleming, another highly skilled professional artist and former National Geographic photographer. With a studio in Annapolis, Jay Fleming’s images have been featured in many magazines and exhibited in fine art galleries throughout the Chesapeake region. His first book of photography, Working the Water, was published in 2016. A second book, Island Life, is scheduled for 2020. The eleventh edition of Delmarva Review will contain new fiction, poetry, and nonfiction from over forty authors in the United States and several other countries. About half of the writers are from the Chesapeake and Delmarva region. Delmarva Review is a nonprofit literary journal published in print and e-book editions. Both are available at Amazon.com and other leading online booksellers. The 260-page collection is supported by individual contributions, sales, and a grant from the Talbot County Arts Council with funds from the Maryland State Arts Council. The next submission period for new literary work and cover art opens on November 1. Please see the website for more information at www.delmarvareview.com.